Mars will make exact his sextile with Chiron at 3.35 am(AEST) tomorrow morning. There will be an opportunity to adjust your thinking about your ability to help others through your correct thinking. possibly emerging through your dream time. The Moon in Scorpio will merge energy with the asteroid Circe between 6 am and 9.30 am as you are warming up to the day. Circe was the ultimate shape shifter from Homer’s Odyssey, so maybe you will need to change your impression of yourself as a result of your dreams. Mercury will make exact his opposition to Neptune at 11.31 am, when you may need to find an integration point between analytical and realistic self-analysis with imagination and illusion. The Moon’s connection with Jupiter between 1.00 pm and 4 pm will help you dig deep into what you truly believe and how you can use this to balance your thinking from becoming too impressionable or too critical. Between 10.00 pm and 2.30 am on Saturday morning the Moon journey’s further to meet up with nature loving asteroids Psyche and Hopi. How you can call on the natural of wisdom to help your cause will become apparent. From 1 am to 10.30 am tomorrow morning (AEST), the Moon will begin by merging energy with the asteroids Atlantis and Persephone. Your dreams could take you to a perfect world where everything was fair and everyone received a fair go. Alternatively you could be whisked deep down into your Underworld and experience things you didn’t know existed before. The Moon will change sign to Scorpio at 4.14 am so the energy will be resonating very strongly with Persephone’s archetype. From 7 am to 10.30 the Moon will move on to connect with Venus and the asteroid Medea. Venus of course is the Goddess of Love, Medea left her home and family to help the man she loved defeat them, steal the Golden Fleece from them and then later on her betrayed her over love. In the pre-shadow phase of Venus’ retrograde cycle, at the moment, you may find yourself questioning some of the things you have given up for love and how that worked for you. Venus will make exact her sextile aspect to Saturn at 1.57 pm, another signal to get real about your responsibilities in relationship. You may find friends of a different age of great help today! Try not to lose your head over your relationships tomorrow morning between 7 am an 11 am (AEST), as the Libra Moon merges energy with the asteroid Medusa! The Sun will make exact his trine to Pluto at 1.30 am opening you up to intense and powerful experiences teaching you about the inner workings of yourself and the world you live it. Your dreams could provide useful clues! It will be easier to make change and feel satisfied about your results. Jupiter in Scorpio will exactly sextile Pluto later in the day at 5.55 pm amplifying your ability to magnify hidden truths. Finally Venus in Scorpio will make exact her opposition to Uranus in Taurus at 7.01 pm leaving you looking for some excitement and stimulating experiences. It will also be a good time to start an unusual sort of relationship with new people. Tonight the Virgo Moon will be hanging out with the asteroid Eos from 9 pm to 12 midnight (AEST). Goddess of the Dawn, she has the prettiest blush amongst all the Goddesses and mothers the winds and the stars! Also said to have a penchant for bedding handsome young men like Orion. In the early hours the Moon will change sign to Libra at 1.19 am, before connecting with dwarf planet Ceres from 3 am to 7 am. Its time to think about what is equal and fair in the way we deal with our relationship with our mothers and daughters and what needs to change. Maybe your dreams will tell you? Mars will move back into Aquarius and towards The South Node and Black Moon Lilith at 10.55 am so those past emotional patterns may start rearing their heads again! The Sun will make exact a productive sextile aspect to Jupiter in Scorpio at 10.09 pm tomorrow evening. You will feel positive and work harmoniously with others, it will also be a good time to review your goals and ideals as you will be able to see the big picture more clearly. The Virgo New Moon will be tomorrow morning, September 10, at 4.02 am in Melbourne (AEST). The Sun and Moon will be at 17 degrees of Virgo, so in its 18th degree. The Sabian symbol is “An Ouija board”, this speaks of the ability to contact deeper recesses of the unconscious psyche and sensitivity to psychic intimations and omens. The theme is threshold consciousness or the ability to let go of control and allow spirit to flow in. Appropriately the luminaries will make a close opposition to Neptune in Pisces, further indicating a need to integrate the balance of watery components, both within the body itself and in the dissolution of the barriers set up to messages from spirit by the soul. Virgo energy is forever seeking purification and perfection through critical analysis, it is not always easy to just let things flow. Virgo also desires health and wellbeing so this is a perfect time for new diets or exercise regimes, especially those involving drinking more water, lessening your alcohol intake and exercising in water! Sol and Luna form one cornet of an Earth Grand Trine with the MidHeaven in Taurus and Pluto in Capricorn so there will be powerful potential for the successful transformative nature of any projects of this nature that are seeded with the Virgo New Moon. Jupiter in Scorpio will oppose the MidHeaven forming the focal point of a powerful Kite pattern from the Grand Trine. So changes that are aligned with the most deeply ingrained needs for your psychological balance and feelings of inner safety, can be effectively addressed with this energy. Venus will have changed sign from Libra to Scorpio only some 9 hours previously initiating the Fixed Grand Square, by opposing Uranus in Taurus, (the pair will be squaring the Nodal Axis). Once Venus enters Scorpio on September 9, already into her pre-shadow retrograde period, the Goddess of Love will be in a stubborn and determined Grand Square relationship with Uranus and the Nodes, until September 28. This will be a rocky ride and whatever it is you have attached value to, it will be hard to shift your point of view. Uranus may throw a few curved balls your way, which will get you examining your whole approach to relationships, both now and in the past. In particular the role which relationships play in keeping you wedded to the past through the patterning in your South Node will need to be revisited, ready to be healed by the new role that moving towards your North Node and your purpose might play! This Grand Square will remain within an 8 degree orb until September 28, some 3 weeks, and longer than would be usual, as Venus will be slowing down to station retrograde on October 6. This signals a poignant time where relationships, attachments and your desire nature will be triggered as part of your soul’s plan to lead you towards your purpose in life through the Leo North Node. You are likely to experience excitement and upheavals either within existing relationships or in the form of new relationships coming over the horizon, creating food for thought during Venus’ retrograde period which will follow in October. I am truly blessed to be able to spend my life doing what I am passionate about, researching what makes people tick and then helping them to understand themselves! I am here in this lifetime to help anyone at a crossroads, going through personal transition or trying to find their life purpose. Saturn Stationed Direct at 9.08 pm (AEST) last night, so things should be starting to free up I know I can feel it! Mercury in Virgo, and Uranus in Taurus, will form a Grand Trine in Earth with Saturn this evening, so more energy to shake things up and get the show moving, The Moon moved into Leo at 11.54 pm last night and has been merging energy with a huge and interesting stellium of asteroids, surrounding her North Node, through to 4 pm this afternoon! Pythia, Osiris, Ariadne, Selena, North Node, Kepler, Apollo and Isis! Wow what a line up! Isis and Osiris the magical lovers and leaders of the Egyptian Pantheoan. Apollo the Sun God and the High Priestess of his Oracles, in Pythia. Ariadne Mistress of the Cretan Labyrinth that imprisoned her brother the Minotaur. Selena the purity of the White Moon, opposite of Lilith and Kepler the father of Harmonic Astrology. What magic is waiting to work with you to help you achieve your purpose in life. The time to launch it all couldn’t be more perfect. There are even a few spots left in the workshop I am holding tomorrow on Finding Your Life Purpose! Tomorrow morning from 6 am to 2 pm (AEST), the Cancer Moon will be merging energy with the asteroids Hathor and Horus from the Egyptian pantheon. Hathor is a Mother Goddess associated with holy cows and the Milky Way, a night or Moon Goddess. Horus is the Hawk-Headed Sun God, son of Isis and Osiris and savior of Egypt uniting the Upper and Lower regions. So if you like the energy will be around uniting the power of the Night and the Day. From 5.30 pm to 9 pm the Moon will move on to connect with the magical asteroid Merlin and anything will be possible. When we woke up this morning the Moon in Taurus was merging energy with the asteroid Juno, Goddess of Marriage and associated with the peacock. You may have had commitment on your mind and interesting messages could have come through from your guides as that’s what peacocks doe for you as a fingerprint! From 11.30 am until the Moon enters Gemini at 6.01 pm she will move on to hang out with dwarf planet Sedna and the asteroid Gaea, Mother Earth. Both archetypes are connected with nature. Sedna is Mother to the beautiful sea mammals, the whales, dolphins and seals so you may feel very nurturing and protective this afternoon. She also has connections with clairaudience as they use sonar to communicate. So it is a day when you need to be alert to what you are hearing, what is coming through. Tonight the Moon in Aries will be hanging out with the asteroid Minerva between 2 am and 6 am tomorrow morning (AEST). At last some dreams around strategy and words of wisdom for the future. Minerva is the Roman counterpart of Pallas Athena Goddess of Wisdom and Craftspeople. Mercury will be making exact his awkward quincunx aspect to Pluto at 1.39 pm. Youmay find yourself becoming somewhat compulsive and judgmental, try to lighten up a bit and be more trusting, life will become much easier. Between 5 pm and 2 am asteroids Diana and Artemis will be merging energy with dwarf planet Eris the Goddess of strife and competition. Try to rein back any urge to outdo your female sisters especially in the realms of hunting and being a free spirit. Another interesting sleep tonight with the Moon changing sign from Pisces to Aries at 2.35 am (AEST). The Moon will merge energy with the asteroids Astraea and Urania with Chiron. Dreams could have themes of new beginnings and healing based on whats written in the stars. Astraea stood for what was fair and equitable, however she was linked to the stars through her parentage just as much as Urania was through being their Muse. Chiron of course is the Wounded Healer. From 11 am to 3 pm the Moon will move on to connect with yet another healing asteroid in Hygeia, so the mood will definitely be focused towards meaningful transformation. Mars will Station Direct at 12.04 am tomorrow morning (AEST) and get some of his mojo back! His square to Uranus is Out of Sign until he returns to Aquarius on September 11, so it should be possible to get more rubber to the road in Capricorn the sign that Mars is exalted. The Moon in Pisces will be merging energy with the asteroid Arachne from 3 am to 7 am. Arachne thought she was pretty good at weaving, but ended up as a spider weaving for the rest of destiny after she fell foul of Pallas Athena! Be careful that your dreams don’t end with you being brought down to Earth too. Mercury will make exact his square to Jupiter at 3.31 pm, so tomorrow is a great day for making big plans for the future. You will have the advantage of being able to see the big picture and feel positive and optimistic about life. Make sure you check out the fine print in a few days in case you have missed any of the details. The Pisces Full Moon 2018 will fall tomorrow evening, August 26, at 9.57 pm (AEST), with the Moon at 3 degrees and 12 minutes, the 4th degree of Pisces and the Sun opposite to her in Virgo. The Sabian Symbol for the Moon, in the 4th degree of Pisces, was described as ”Heavy car traffic on a narrow isthmus linking two seaside resorts”, the keyword here being traffic. This talks about the mobility and intensity of interchanges which make possible complex social processes. The Sun at 4 degrees of Virgo, will have the symbol of “Black and white children play together happily”. This signifies the overcoming of socio-cultural prejudices to achieve equality as a children of the Earth, brotherhood. Closely conjunct the asteroid Lilith, Sol’s feminine side will be emphasised, with elements of past judgements being served upon him, he will help us become more receptive to communication of emotional needs within our relationships. Since moving into Virgo on August 23 the Sun has been part of an Earth Grand Trine with Saturn in Capricorn and Uranus in Taurus, bringing us a week of inner Earthly stability. The polarity between the Luminaries will form the backbone of a Feminine Energy Kite pattern around the Grand Trine, Saturn and Uranus will each make a productive sextile to the Moon, assisting in her integration of the Sun’s more restless, critical and pedantic energy in Virgo. The Moon in Pisces will be the focal point or resolution of this pattern. She is in a more powerful position than the Sun, standing unencumbered by other aspects in her resonating element of Water, enabling us to find answers through spiritual and intuitive practice. The sextile to Saturn will bring her an element of practicality, whereas the sextile to Uranus will help us tap into our inner genius, so it is easier to appreciate our individual needs. This totally feminine Pisces Full Moon will be a great opportunity to shine the light on cementing our new enhanced consciousness into practical behaviours in a very creative way, so that they are enjoyable and fun rather than becoming more restrictive and boring routine! Sara’s focus is on teaching individuals tools to transform their lives. A professional numerologist with both 11 and 6 in her core, it seems most fitting to take on the number associated with mastering compassionate love. Bringing more loving kindness to the world is her mission and focus within the C*I*A! 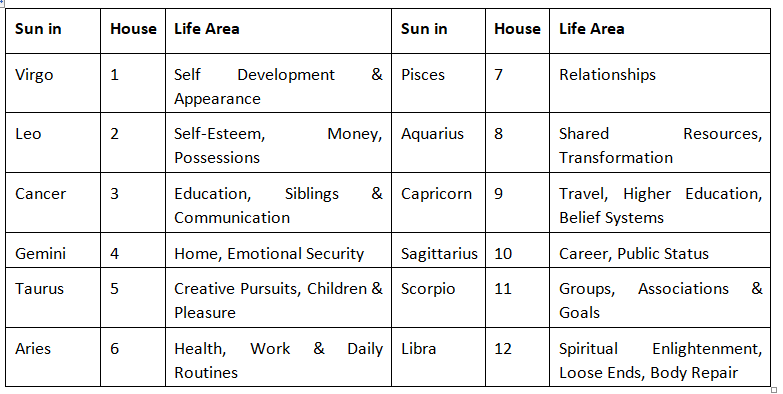 Agent 66 consults and shares her knowledge through “Life Spirit Connections”, the business and mini spiritual college she operates, close to Frankston. Services include consultations, courses and workshops, (in person, by Skype or correspondence), involving Astrology, Tarot, Palmistry, Numerology and the Kabbalah Tree of Life. Her astrology is psychologically based, she holds the FAA Diploma, in addition to Level One Apprenticeship in Evolutionary Astrology with Steven Forrest. She belongs to the APA and VAA, as well as being a Professional Member of the Tarot Guild of Australia. Agent 66 has been fascinated by mythology and the stars from childhood, her special interest is in the study of asteroids named after magical mythical archetypes. She is currently researching their impact on the astrology of individuals working in the oracular and healing fields. Now that I see the light managing the light without being blinded or burned from intense exposure. As someone whose natal Sun is conjunct Pandora and the Great Attractor (lol, square Pluto in Virgo exact) it’s cool to read your take on Pandora. Makes me feel better about who I am – she who tends to take the lid off or asks why no one else will confront the goddam elephant in the room. Oh yes, and there was that time when I was 8 when I was in bed, pointed up to the stars through the ope curtains, and told my mum I wanted to go home…but no doubt, that is a Great Attractor rather than a Pandora thing! In general, just love your work and look forward to every new Moon Myth post.